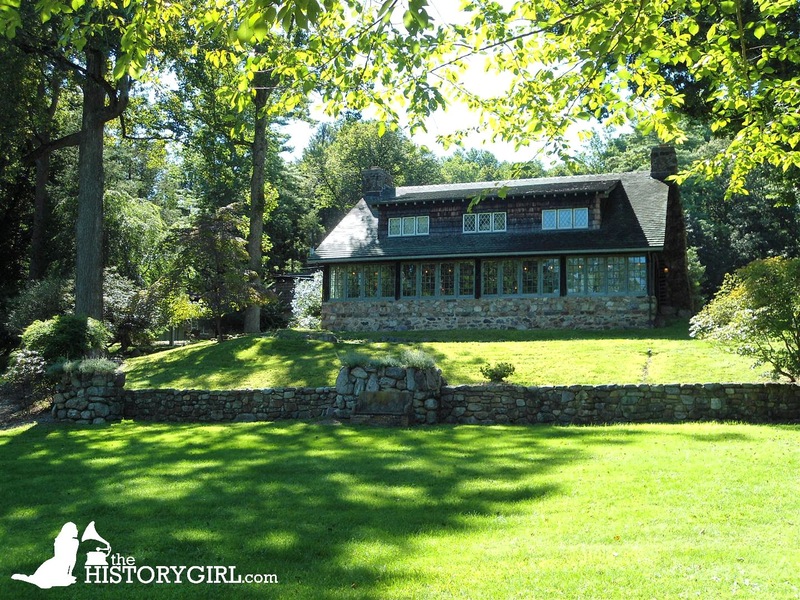 Do You Know Your New Jersey Architectural Styles? ~ The History Girl! There are many fine examples of Georgian style homes across New Jersey. The dominant style for domestic construction in the United States from 1700-1776, Georgian architecture grew out of the Italian Renaissance ideals made popular in England by architect Sir Christopher Wren. Georgian architecture gets its name from the succession of English kings named George (beginning in 1715). 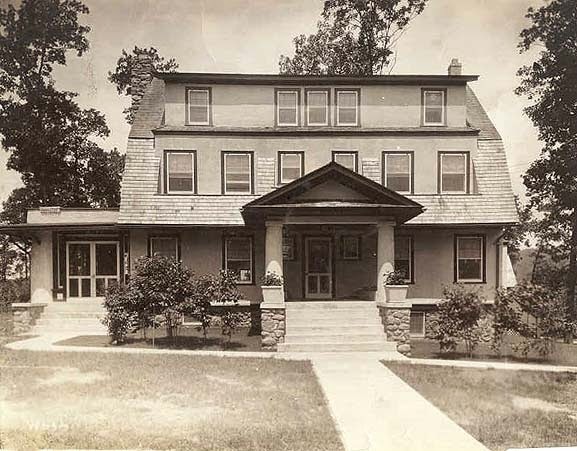 In the United States the style included innumerable variations on a simple English theme: a symmetrical, two-story house with center-entry façade, combined with the two-room-deep center-passage floor plan. Many of the surviving Georgian style homes are associated with prominent citizens, indicating that in New Jersey, the upper class could afford to construct these large homes. The Dey Mansion, Wayne, NJ is a fine example of Georgian architecture with a gambrel roof. Larger windows with nine or twelve panes on the main floors. 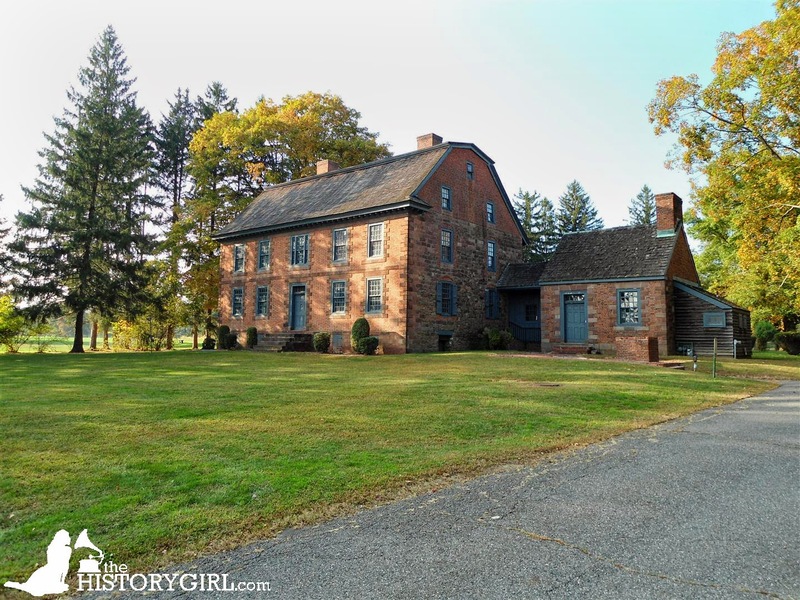 The Cornelius Low House, built 1741, Piscataway, NJ. Greek Revival was the dominant style of domestic architecture between 1830 and 1850. Irresistible to the first generation of American-born architects (such as Benjamin Latrobe, Robert Mills, William Strickland, Thomas U. Walter, and Ithiel Town), "Grecian Style" spread across the United States. In addition, guides for carpenter builders by Asher Benjamin and Minard Lafever made the style widely available for imitation. Mahlon Fisher in New Jersey was one of those carpenters, building a number of notable Greek Revival homes in Flemington. The style developed from the classic form of the Parthenon, which inspired the design of Bank of the United States in Philadelphia (1818). The Bank building served as a catalyst, identifying Grecian architecture with economic security. As early as the 1830s, the style spread to nearby New Jersey, with early Greek Revival churches and homes built during that period. 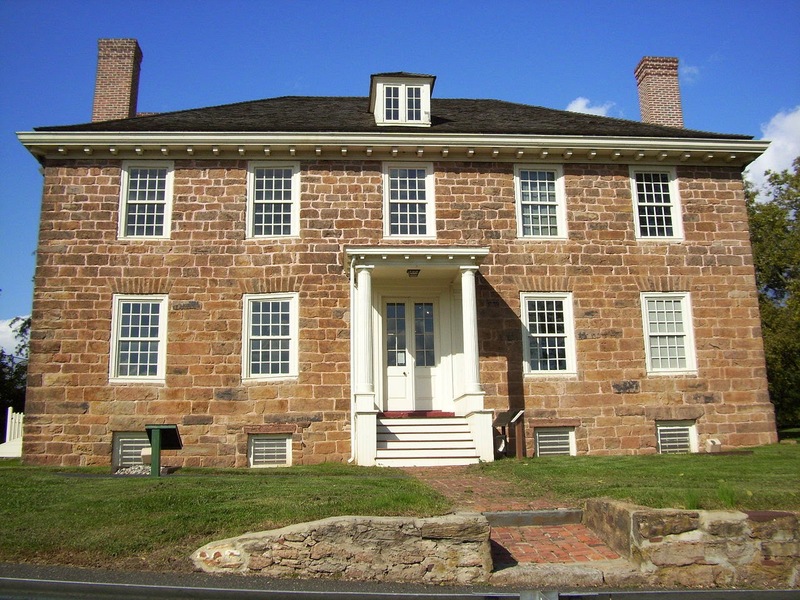 The Doric House, built 1845 in Flemington, NJ is an example of the Greek Revival style. Many have an entry porch with columns and decorative pilasters. The Dorf House, built 1845, in Flemington, NJ. The Italianate style began in Europe as part of the Picturesque movement, a reaction against the formal classical ideals in art and architecture that had dominated the previous two centuries. It was inspired by the Italian villas of northern Italy with their characteristic square towers and asymmetrical, open floor plans. The first Italianate houses in United States were constructed in the late 1830s and the style was popularized in the United States by the pattern books of Alexander Jackson Davis in the 1840s as an alternative to the Gothic and Greek Revival styles. 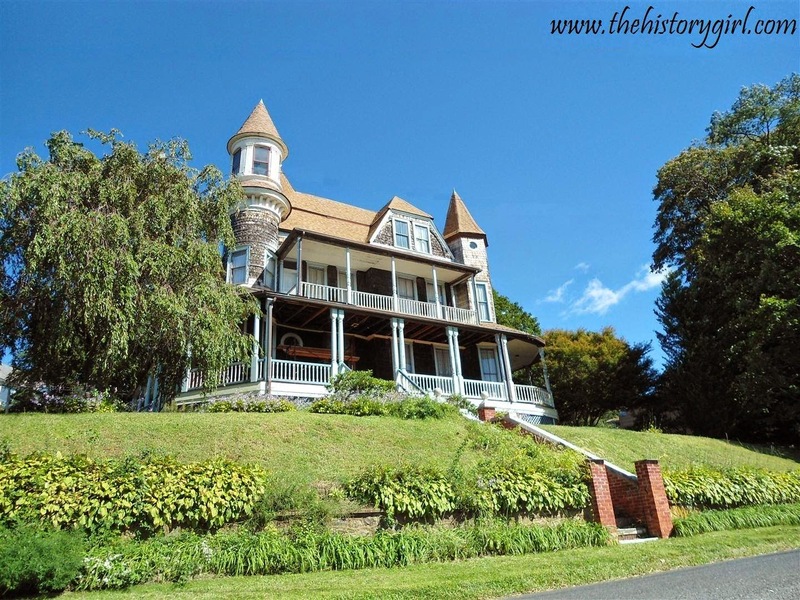 However, the style was superseded in popularity in the late 1870s by the Queen Anne style. Acorn Hall, built 1853 in Morristown, NJ. Ellarslie (Trenton City Museum), built 1848 in Cadwalader Park, Trenton, NJ. The Queen Anne style is difficult to define, encompassing a wide range of architectural elements and borrowing and combining features from multiple stylistic traditions. The initial inspiration came from England, but developed into something uniquely American between 1880 and 1910. American architect Henry Hobson Richardson (1838-1886) designed the first Queen Anne home in the United States in 1874, the Watts-Sherman House in Newport, Rhode Island. The style also gained popularity as a result of exposure at the Philadelphia Exposition of 1876. No one building exhibits all the varied elements and features associated with the Queen Anne style but you can spot any number of details on any particular building to classify it as being built in the Queen Anne style. The Strauss Mansion, built 1893, in Atlantic Highlands, NJ. Kuser Mansion, built 1892, Hamilton, NJ. The Arts and Crafts style, also known as the American Craftsman style was embraced and championed in the United States by Gustav Stickley. It encompassed architecture, furniture design, and the decorative arts. The Arts and Crafts Movement prevailed between the dominant eras of Art Nouveau and Art Deco, or approximately the period from 1910 to 1925. The Log House at Craftsman Farms, built 1911 in Parsippany-Troy Hills, NJ. Craftsman style home, built 1919 in Mountain Lakes, NJ. Homes in the Borough of Mountain Lakes, NJ. The Doo Wop style was conceived out of the mid-century modernism of the 1950s and 1960s and is only found in Wildwood, New Jersey. This style is known as Googie or Populuxe in Los Angeles, South Florida, and other small pockets of areas that have flamboyant mid-century architecture. The term "doo wop" alludes to the Wildwoods’ heyday as an early rock ’n’ roll venue. The island resort's architecture built during this era reflected the spirit of the people: brash, bold and boastful, and the popular culture of the times. The dense building fabric presented a varied and exaggerated spectacle of designs, all competing for the passing motorists' attention. Angular elements, space-age imagery, tropical themes and colors, with neon signage, combined to form a sensational display that can still be seen in the Wildwoods today. Many new buildings constructed in the Wildwoods today try to incorporate the Doo Wop style in their signage and on the facade of the buildings and are considered Neo-Doo Wop (WaWa, Subway, and Walgreens are all examples). Visit NJ History -'s profile on Pinterest. I'm happy to see my great aunt and uncle's former house, Kuser Mansion, as an example of Queen Anne architecture. It is open to the public for tours.